Albert Pranno is a graduate of the University of Utah College of Law. Al also received his Master's of Business Administration (MBA) from Westminster College of Salt Lake City, where he has been an Adjunct Professor teaching Business Law and many other areas of business. Al serves as a small claims court Judge for the Salt Lake City Justice Court, the Summit County Justice Court, the Davis County Justice Court, and the Centerville City Justice Court. 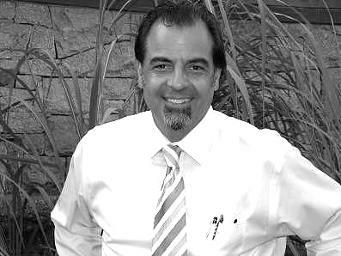 Al also serves on the Utah Bar's Family Law Executive Committee and is an editor of the Utah Journal of Family Law. Al volunteers several times a year at the Family Law Legal Clinic at the Scott Matheson Courthouse - a program to assist pro se litigants on their family law issues. Al annually volunteers as a judge in the Mock Trial program for high school and junior high school students. Robert Brennan is a graduate of the S.J. Quinney College of Law at the University of Utah. Robert also received his Bachelors of Arts degrees in English and Political Science from the University of Utah. Robert is member of the Family Law Section of the Utah State Bar, and volunteers monthly at the Family Law Legal Clinic at the Scott Matheson Courthouse, assisting pro se litigants with their family law issues. Robert has experience in a wide range of civil litigation and interned for the Honorable Justice Ronald Nehring at the Utah Supreme Court during law school.